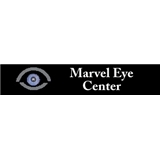 Marvel Eye Center (Hurst) - Book Appointment Online! Personal interaction with his patients, his caring attitude, and continued training in ophthalmology, move Dr. Marvelli into a higher classification with regard to patient care and as an eye doctor. Dr. Marvelli and his welcoming staff offer a full range of vision care including eye exams and prescriptions for eyeglasses and contact lenses. In addition, he has performed thousands of surgeries and is skilled in utilizing Visx Star S4 and Allegretto for patients interested in LASIK. He currently has offices in Ft Worth, Mansfield, and Hurst Texas. Friendly & courteous staff. Dr Marvelli was very pleasant & professional. Seemed very knowledgable & not pressuring in any way! Very comfortable atmosphere all the way around.